Due to its complex formula of surface active substances (surfactants) the shampoo easily and quite safely cleans all kinds of car body contaminations. Quickly dissolves dirt on the surface of the car body. 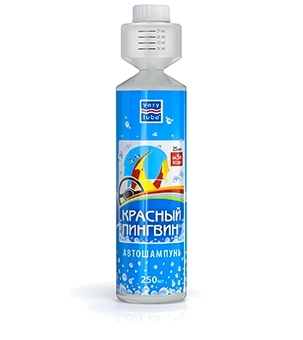 Suitable for washing all types of painted and lacquer-coated surfaces. Safe for rubber and plastics. Open the cap. Fill the dispenser with the car shampoo while slowly squeezing the main part of the bottle. Pour the shampoo into water and make foam. 25 ml of car shampoo for 5 L of water.